This comprehensive overview traces the evolution of modern Mozambique, from its early modern origins in the Indian Ocean trading system and the Portuguese maritime empire to the fifteen-year civil war that followed independence and its continued after-effects. Though peace was achieved in 1992 through international mediation, Mozambique's remarkable recovery has shown signs of stalling. 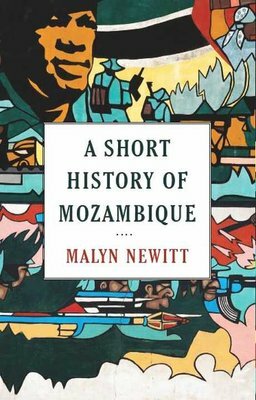 Malyn Newitt explores the historical roots of Mozambican disunity and hampered development, beginning with the divisive effects of the slave trade, the drawing of colonial frontiers in the 1890s and the lasting particularities of the north, centre and south, inherited from the compartmentalised approach of concession companies. Following the nationalist guerrillas' victory against the Portuguese in 1975, these regional divisions resurfaced in a civil war pitting the south against the north and centre, over attempts at far-reaching socioeconomic change. The settlement of the early 1990s is now under threat from a revived insurgency, and the ghosts of the past remain. This book seeks to distill this complex history, and to understand why, twenty-five years after the Peace Accord, Mozambicans still remain among the poorest people in the world.